In our Partial Water View Double Queen Guest Rooms, experience living right in the middle of paradise, sinking into two plush queen size beds, surrounded by wild mangroves lining the Gulf of Mexico. And as you’re just steps away from our glimmering pools, it’s impossible not to get into the island spirit. 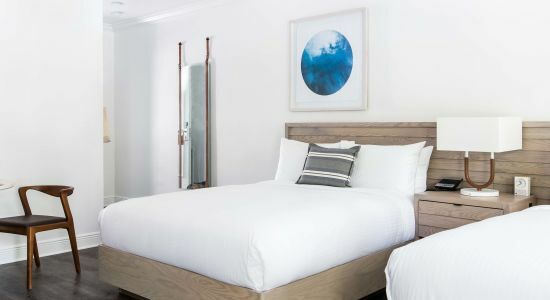 These spacious 375-square foot water view guest rooms are the largest in Key West, providing you and your closest friends and family members the space you need to fully enjoy a carefree island escape.